I did not realize how bad my flash was against the black laptop.. Sorry. My coworker was leaving us for another job so I thought I would make her a little something I found online as a goodbye gift. I settled on the Versaille Kusudama. I liked the fact that the pieces are simple to make and didn't require glue. The no glue required was a big thing with me. 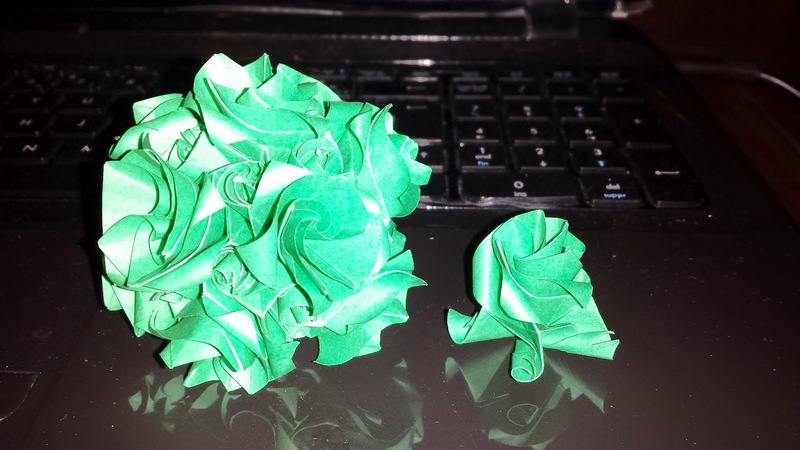 In my kusudama days, almost all of my pretty flowery kusudamas requires glue to be attached to each other. So it was good to find some pattern that is flowery but doesn't require glue.